What seems like half of Newtown, all have been given a reason enough to leave the house and come to Newtown Social Club on a cold and wet Thursday. Pre-set the room slowly fills with a crowd of excited faces waiting to see what the Illawarra-grown songstress, Bec Sandridge, has in store. Suddenly the crowd erupts in a unified, deafening cheer; the background noise being Bec and her band shuffling atop the meagre stage. As the opening song of the set begins, the crowd quickly swaps screaming for swaying, and the stage immediately appears far too small as Bec confidently strides up and down its length. Each song seems to excite the audience more than the previous. From beginning to end everyone in the room is enchanted by Bec — what began as a gig soon begins to feel like a conversation with an old friend. As crowd favourite ‘High Tide’ begins to emanate through the speakers, Bec (along with most others present) seems to lose herself to the song, as if she were being played by the guitar. 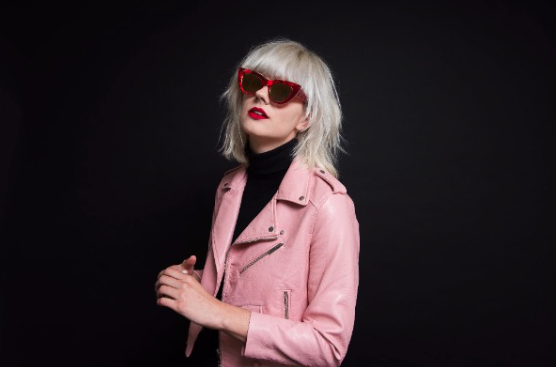 Following a small handful of more sombre songs, Bec Sandridge pauses to tell the audience how a case of mistaken intentions in Scotland led to highly acclaimed song ‘You’re a F***ing Joke’. While in previous songs the crowd grooved along reservedly, almost all are now jumping with eyes closed and mouth grinning wide open. It’s obvious to everyone in the room that the band is well-rehearsed. The relatively simple yet punchy drum lines throughout the set pave the way for the keyboardist to have some fun — inciting pop-drenched chord progressions with irregular timing. This lays the groundwork for Bec’s guitar to cry out in rhythmic chants, sometimes harmonising with the chord progressions being played by the keyboard while at others falling silent to leave space for Bec’s vocals. Of course the powerful vocal melodies — being the trademark of Bec Sandridge — shine through the mix, resonating around the room. Both the lyrical content of the set-list and the way Bec holds herself seem to give off the aura of a regular, down-to-earth girl from Stanwell Park. It is abundantly obvious to everyone in the crowd that the performers (in particular Sandridge herself) are having the time of their lives proving why they’re there. Following the conclusion of the all-too-quick hour long set, the audience is visibly lifted, everyone seeming to have taken a part of Bec home with them — the hallmark of any great artist.